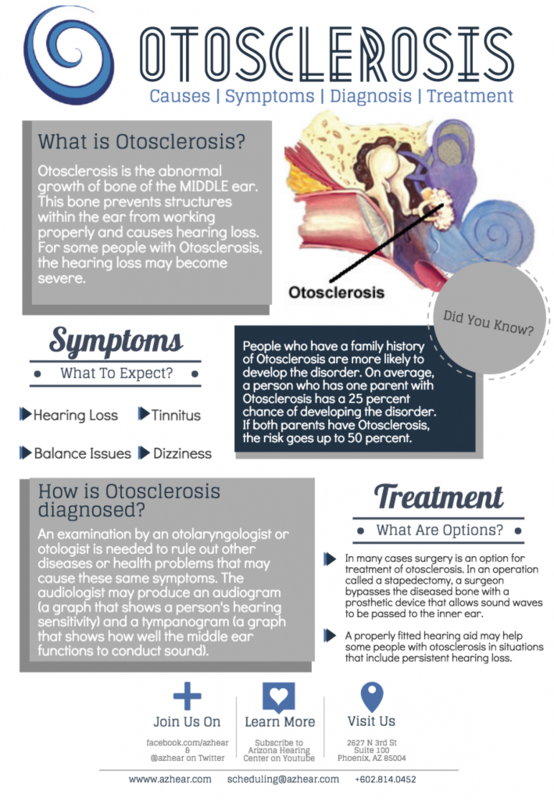 Otosclerosis – a disorder of the ear bone which often causes the stiffening of the third bone of hearing – accounts for approximately 1 percent of all conductive hearing loss cases. There are three treatment options for otosclerosis. The options are observation, hearing aid(s) or a stapedectomy. A stapedectomy is a surgery that can be performed to put a hole in the bottom of the third bone of hearing. A piston is placed in the hole and attached to the second bone of hearing. This procedure enables the sound to reach the inner ear and can correct the hearing loss. Abstract: Arizona Hearing Center is a cutting-edge hearing care facility providing comprehensive, family-focused care. 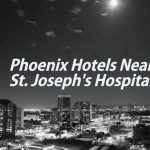 We care for patients in a respectful, forthcoming and accessible manner and offer compassionate, individualized treatment. We educate future hearing healthcare professionals on innovative technologies and the treatment of complicated conditions. We are the hearing loss experts.